Man’s best friend just got a little prettier. Ever since the government passed legislation allowing people to be genetically engineered and raised as pets, the rich and powerful can own beautiful girls like sixteen-year-old Ginger as companions. But when Ginger moves in with her new masters and discovers the glamorous life she's been promised isn't at all what it seems, she’s forced to choose between a pampered existence full of gorgeous gowns and veiled threats, or seizing her chance at freedom with the boy she's come to love, risking both of their lives in a daring escape no one will ever forget. 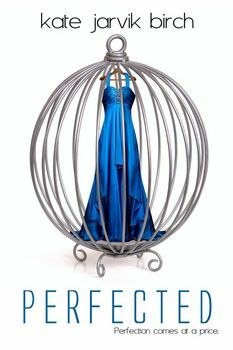 In a society where genetically perfect girls are kept as pets, Ginger discovers her glamorous life hides a dangerous world of black markets, ownership, and slavery. Kate Birch’s Perfected melds the feel of The Handmaid’s Tale with the historic underground railroad and wraps it in a glamorous—and dangerous—bow.